Paul is Founder and CEO of RebelMouse. Previously, he was CTO of Huffington Post responsible for product, technology and design. He is a GP at Lerer Ventures and on AMEX’s Digital Advisory Board. My dad started a software company, Palo Alto Software, when I was a kid. He got an MBA from Stanford in the 80's when personal computing was just starting. I began programming when I was 8 and then helped do tech support for his software company as my after school job, and then came back in the late 90's to build the Internet and ecommerce side of the business. 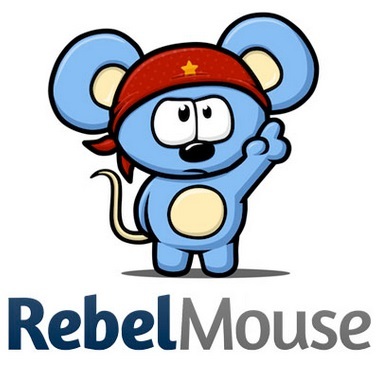 Tell us about Rebelmouse. What inspired the idea and what is your vision for the company? Before I started RebelMouse, I was the CTO of HuffingtonPost from when the company was very small to a year after it was acquired by AOL. The technology and product was a huge part of the valuation, and while we played with the idea of turning the software into a platform, it’s very very hard (impossible) to be a publisher and a platform. RebelMouse is the next generation of what we learned from building the HuffingtonPost. It’s a new platform built from the ground up for the social and mobile web. It is very exciting to be 3 years in now and have the types of clients we have (TIME, GE, United, Viacom, Spotify etc) and the type of scale we have with no competitor even close to having a product like ours. What strategic partnerships/marketing strategies have you implemented that have attributed to Rebelmouse's success? We have focused on working with the very best brands and media companies and doing work together that has garnered lots of press. We've been very lucky and hard working and what we have put out for clients like Spotify, Weedhorn, The Dodo, Fatherly, and CBS’ Ecomedia has been featured in TechCrunch, WSJ, NYTimes, USA Today, The Today Show, Pando Daily and many other top tier publications. We are lucky to have access to and interest from some of the most influential people on the internet and we work very hard constantly to have a product and company that is impressive to them and that they feel confident spreading the word about. The consumerization of enterprise software is perhaps the great trend on our side right now. All the other CMS (content management system) offerings build sites and apps that require an army of developers and UX/UI/design/product talent to maintain or iterate. We help clients launch at a fraction of the time and cost and with far more depth in features. Our platform will keep the current as technology develops without a second thought. We also are very focused on the social mobile web and there are no CMS products built from the ground up like ours to address that. Another key trend is on advertising - brands know they need direct relationships with consumers to evolve beyond just advertising and become media companies with niche social networks supporting their products. We enable them to do this at scale. Work hard, play hard, family first. Life is too fast!! Let your content roar! Be agile in software and content and win big. Your greatest success as Founder/CEO of Rebelmouse? Most difficult moment-how did you overcome and what did you learn? We employ 110 people in 29 different countries. I think enabling our employees and giving them the opportunity to make RebelMouse the defining time of their career and something their grandkids will remember them by is the most important thing and something I feel we are on track to do. Difficult moments come all the time. Some employees were right for the company at one point, but no longer are, and helping them find their way through that is hard but really rewarding in the end. Another challenge is that while we have won big deals, we have also lost big deals. I try to remind every Founder who asks me for advice that doing a Startup is like being a heroin addict with major highs and lows. I'm a father of 3 and my wife has her own Startup (an awesome company I'm so proud of called PowerToFly). There is no doubt that the way I overcome the hard (and balance the good) parts of Startup life is by making my kids the most important part of my life. Startups can be a black hole and in order to think creatively and get the most from each hour you need your brain to zoom out and think of other things. I treasure the time with my kids. We try to read an hour each day and spend many many weekend hours together outside or reading and enjoying life. No matter if you are just making ends meet or buying yachts (I'm not!) life passes just as fast and all the same. You have to will a company into existence. It takes sheer force and incredibly staying power to work through all the weaknesses you encounter in your ideas and your executions as you put them out there. No idea is unique so don't pretend that you are on to something secret - get feedback and be open and honest and earnest. Prepare for hard, hard work - it sounds so glamorous but it’s really a lot of focused never ending work. Describe the ideal experience using Rebelmouse. First its important to understand that we are an enterprise class SaaS business, so its not really intended for personal use anymore. 7 million sites and profiles are powered by RebelMouse, but our focus is on those that are running their digital business on our platform. If you are in that group, then the experience goes like this: you have an idea, either new or existing. You struggle a little with how to build the ideal site and app for it. You discover RebelMouse and realize you have a better option. You go through our demos, see our proposal, sign the contract. We launch in a matter of days or weeks. You grow, you iterate, you learn because of our platform and our team. We become lifelong partners solving a huge part of your business so you can focus on great content and on using the software to grow a loyal, lasting community that thrives on the mobile social web. We are lucky enough to have some of the most creative and beloved clients in the world, both for brands and for media companies. A big motivation is being able to work on important projects that get lots of press recognition. We are also a very positive culture where hard work is rewarded. We focus on making sure we are learning while having fun. Sparkling water for drink I guess (boring?). Something vegan for food. But man.... I love variety so lets hope we don't end up in that world. I have really gotten back into reading in the last year which is so much more rewarding than watching movies and shows. A small selection of my very favorites: Ready Player One, The Interestings, State of Wonder, Serpent of Venice. These are amazing books btw, read them!! My personal role model is my grandmother on my mom's side in Mexico. I've never met anyone who has as much capacity for empathy then her. All of her grandchildren were sure we were her favorite. Hundreds and hundreds of people came to and sobbed at her funeral. She understood you, she cared for you and she helped you. She did this not just with her family but with her co-workers, her neighbors. If you were lucky enough to cross paths with her, your life was better, so much better because of her. I miss her frequently still and I named my first daughter after her. I'm very proud that my role models in business are also RebelMouse investors. Jonah Peretti (Founder and CEO of BuzzFeed) leads with humor, creativity and has an uncanny ability to spot talent before the rest of the world has seen it. Ken Lerer knows how to listen to and follow his gut and to help position a company ahead of the now and into where the world is going. Eric Hippeau has a focus and cool head that allows you to think through the most complex situations in the simplest ways. Greg Coleman inspires every meeting, every moment, with humor and insight and has found the perfect balance to driving teams while making the path fun, fulfilling and worth living. Reading Harry Potter, Roald Dahl and Percy Jackson to my kids. And lately also thinking a lot about the fascinating interplay and tension between the person and the role. How I was as CTO at HuffingtonPost is different from how I am as CEO at RebelMouse. It’s easy to forget that we are people first and roles second, but you have to be true to both. I was born in Mexico and much of my family was and is there, so bringing my kids back to Mexico is so important to me; Its so rewarding to see them fall in love with what I fell in love with. Also Turkey - its so gorgeous and the people and food remind me of Mexico, we have been making a summer trip with the family there for the last few years in a row and I hope to continue the tradition. I feel we really know now what we are going to be when we grow up, and it's very exciting. RebelMouse will be *the* solution as the enterprise class CMS built for the social mobile web. This is a huge opportunity and we are going to keep our focus right on that. We will focus on being the best solution for any media company or brand to launch or re-platform for their sites and apps. I am very excited about how big that road is and how far it can take us into the future.